Are you hunting a Christmas present for that hard-to-buy-for person? Here are a few great gift ideas for either the casual backyard bird watcher or the avid birdwatcher on your list. For the casual backyard birders there are feeders, binoculars, bird seed, bird seed wreaths and ornaments, decorative banners with bird themes. And, for those avid birdwatchers there are binoculars, birding scopes, cameras and all kinds of accessories. A membership in the Cornell Lab of Ornithology or your local Audubon Society are other neat Christmas gifts that last all year for the bird watcher. A pair of binoculars makes a wonderful gift. They will give that special person on your Christmas list hours and hours of entertainment watching birds. Binoculars can start anywhere from under $30 into the thousands of dollars. The choice and price of the binoculars will depend on how and under what conditions the bird watcher will be using the binoculars. For tips on choosing the right binoculars visit: Easy Steps to Choosing the Right Bird Watching Binoculars. An avid birdwatcher may even want a field scope and tripod. A new bird feeder is a wonderful present for both the birdwatcher as well as the birds. Winter feeding is important for the birds, too. There are many different new-fangled bird feeders that attract different birds to the yard. 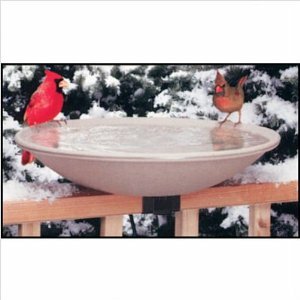 Your present will provide lots of enjoyment while watching birds coming to the new feeder. 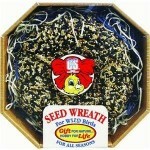 There are bird seed ornaments, gadgets and many decorations which make cute presents. And, a birder will never turn away a big bag of black oil sunflower seeds. Cameras make a nice and useful Christmas present. Just like binoculars, the type of camera needed is determined by how and where the birdwatcher uses the camera. The casual backyard birdwatcher may only want a minimal zoom lens and everything automatic on the camera. While the avid birder will want a camera that has all the bells and whistles on it. There are so many neat, fun and useful presents that can be given to the birdwatchers on your list. I’m sure they will love the present, get much joy out of it and say, “This is just what I wanted”. Visit Your Bird Feeder Store for a few ideas.